ARC of Triumph–Win a signed advance copy of A Song at Twilight! One of the most exciting “author moments” is seeing the ARC of your book for the first time. Sure, it’s an uncorrected proof. Yes, you will almost certainly find a wince-inducing glitch or two when you start looking through it, some little or even not-so-little error that got past your red pencil the first, second, third time you edited your manuscript and will make you smack your head and wonder aloud, “How did I miss that?” And yes, you will thank your lucky stars that you get a final chance to expunge those errors when the page proofs/galleys arrive. And yet, the moment when you open that packet of ARCs is still magical–because you’re finally seeing your book as a book, rather than a file or a stack of pages. It has a cover, it has back cover copy, it has promotional blurbs (if you were fortunate enough to obtain some), it has your back and front matter. When you look at the ARC, you know that your dream really is going to come true–and someday, in the not too distant future, you will see your book on the shelf of an actual bookstore. As the author of only two books (so far), I freely concede that this is all still fairly new to me. But no matter how many more I write and publish (and I hope it’s a good many! ), I can’t imagine ever finding that moment less than thrilling. This week I will be giving away a signed ARC of A Song at Twilight to a commenter below. The giveaway will end next Saturday, August 17, at midnight, PST, and the winner will be chosen by random draw. Please include your email address in your response, so I can contact you afterwards. To get the ball rolling, I’ll start by asking: Do you have a favorite second-chance-at-love story, and if so, what is it? 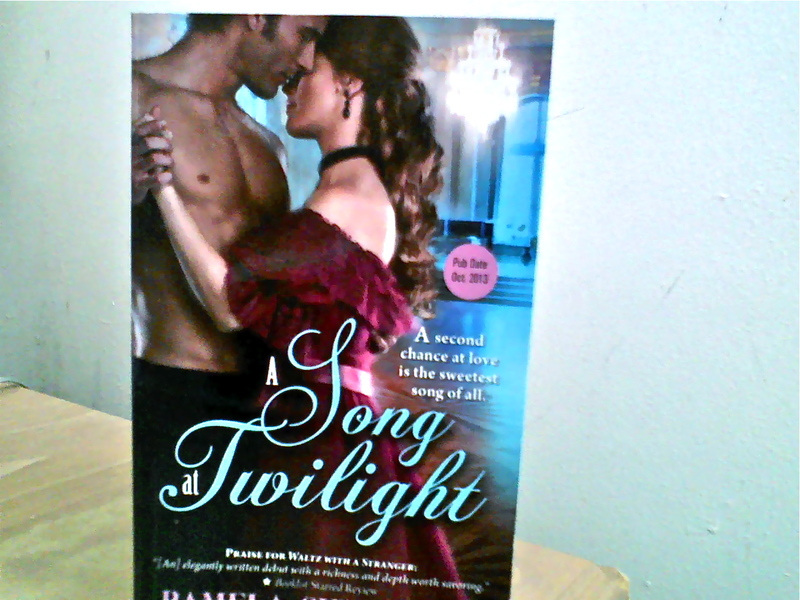 Congratulations, you’ve won this week’s giveaway: a signed ARC of A Song at Twilight. Please email me your current mailing address so I can send this off to you as soon as possible.